(10 Pack) Turbo Grips Bowling Finger Inserts Quad Classic White Choose size! 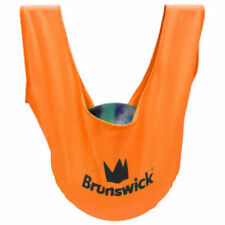 Brunswick Bowling Ball See Saw Cleaning Bag Orange - New - Free Shipping! (10 Pack) Turbo Grips Bowling Finger Inserts Quad Classic Yellow Choose size! Motiv Bowling Power Gel Polish Bowling Ball Polish 16oz - Free Shipping! Storm Bowling Reacta Foam Bowling Ball Cleaner 8oz Bottle - Free Shipping! 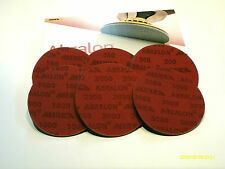 This is an authentic leather cleaning pad designed to wipe excess oil off of bowling balls. Works on all types of bowling balls. Ultimate oil removing pad. Reversible-Black on one side and Orange on the other. Works on all bowling balls. Approved for use in USBC competition. Easy to use - wipe on, wipe off. This can be used to display a bowling ball or hold your extra ball while on the lanes. It has ball bearings built into it so the ball can be turned easily(The cup itself does not rotate, only the ball placed on the cup rotates). (4-Pack) Ebonite Ultra Slide/Easy Slide Powder Bag- New in Packs-Free Shipping!! Using this slide/powder bag aids in the release of a bowling ball. It is typically used on the thumb to provide a smoother release from the thumb hole. This is an authentic leather cleaning pad on one side designed to wipe excess oil off of bowling balls. The opposite side is a synthetic material with gripping dots. Works well on all types of bowling balls. The new TruCut by CtD Pads are specially designed for bowling balls. Close up of TruCut by CtD vs Abralon. Brunswick Bowling Ball See Saw Cleaning Bag Lime Green - New - Free Shipping! Protect your bowling ball with the perfect buffer/polisher/cleaner. Extra large, fully washable. Quantity of 2 bags. Reusable carry pouch. Improves gripping power. TAC-UP is a new and exciting product they have formulated specifically for bowling balls. Storm Shammy. Works on all types of bowling balls; you can feel the difference. Ultimate oil removing pad. It is an incredibly effective ball cleaning gel. Opening in the fabric allows water to flow freely around the abrasive. Foam center holds large amounts of water for lubrication. YOU PICK THE GRITS THAT YOU WANT FROM THE FOLLOWING 360-for deep scratches 2000-for a mild luster with texture underneath. Wire Brush for bowling shoes. Genesis Deluxe See-Saw Bowling Ball Carrier/Polisher - Free Shipping! The classic bowling ball See Saw. Deluxe See Saw. Provides a comfortable and safe way to carry your single or spare ball. Place the ball inside. Using both hands, work the handles in a back & forth “see-saw” motion. Folds away to protect the blade during non-use. (10 Pack) Turbo Grips Bowling Finger Inserts Quad Classic Orange Choose size! They can be used to display a bowling ball or hold your extra ball while on the lanes. They are made of hard Plastic. They are black in color. Brunswick Siaair Finishing Pads. 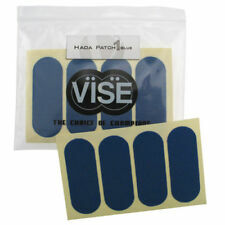 AVAILABLE IN THE FOLLOWING GRITS Longest lasting micro pad in the industry. Waterproof and washable. Consistent finish throughout life of pad. A must-have accessory to provide consistent slide in high humidity regions. 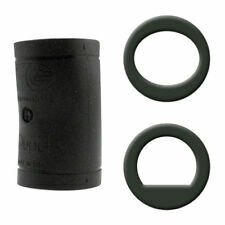 Can also be used in thumbhole to provide quicker release. Eliminates sticking shoes. Brunswick Microfiber (Non-Leather) EZ Grip Cleaning Pad/Shammy - Free Shipping!! This isNOT a leather Shammy. It is microfiber on one side with gripping dots on the other. Allows you to apply directly to the surface of the bowling ball. 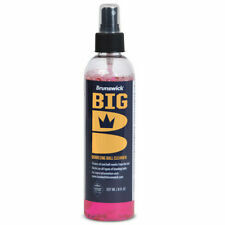 Up for grabs is an 8 oz bottle of Ultimate Black Magic Rejuvenator bowling ball cleaner. Black Magic Rejuvenator/Cleaner will do just that. It's new chemical formula absorbs, emulsifies and floats away stubborn lane oils and dirt. This tape was designed to protect your skin from blisters, cuts, and irritations as well as improving the fit of your bowling ball. Protects skin. Fast release speed. Turbo Grip 1" White Bowling Texture Tape-100 Piece Roll-Brand New-Free Shipping! It's good to have a quantity of tape available when you need to make the thumbhole a little tighter. This tape is for putting in the bowling ball thumb hole to make it a little tighter. Storm Bowling Red Leather Shammy Bowling Towel - Brand New - Free Shipping! Works on all types of bowling balls. You can feel the difference. 4.5 out of 5 stars - Storm Bowling Red Leather Shammy Bowling Towel - Brand New - Free Shipping! 6 product ratings6 product ratings - Storm Bowling Red Leather Shammy Bowling Towel - Brand New - Free Shipping! Storm Bowling Teal Microfiber Bowling Towel - Brand New - Free Shipping! Clean deep into the pores of your bowling ball with a microfiber towel that is Storm approved! Hammer Bowling Ball Cup Stand for extra balls - New - Free Shipping! Power Gel Polish is a ball cleaner and polish in one formulation. In addition, Power Gel Polish will create a rich luster on any bowling ball. Available in 16oz squeeze bottle. Storm Bowling Shoe Cover. SOLD AS A SINGLE SHOE COVER. Sizing Chart:Regular - sizes 6-11, Large - sizes 11-14. (10 Pack) Turbo Grips Bowling Finger Inserts Quad Classic Green Choose size! Black Storm Shoe Slide. Just slip them over the sliding soles of your shoes to increase foot slide on sticky approaches. Held in place by elastic retainer band. Ebonite 3/4 White Bowling Texture Tape-100 Piece Roll-Brand New-Free Shipping! Genesis' thinnest performance tape also happens to be the quickest releasing tape in the Excel. It features a quality synthetic material that has a fine knit weave for a smooth, almost silky, feel. Plus, the extra thin profile gives it the most stretch in either direction. Works especially well when sanding contoured surfaces, corners and sharp edges. Open cell design holds large amounts of water or solvent for lubrication and cooling. Long-lasting protection against blisters and other irritations. Patches included. Power Gel Polish is a ball cleaner and polish in one formulation. In addition, Power Gel Polish will create a rich luster on any bowling ball. 4.5 out of 5 stars - Motiv Bowling Power Gel Polish Bowling Ball Polish 16oz - Free Shipping! 2 product ratings2 product ratings - Motiv Bowling Power Gel Polish Bowling Ball Polish 16oz - Free Shipping! Wholesale Lot of 6 Rolls of Bowling Thumb Finger Protection Tape 1" x 200"